You are here: Home / Tech News / How does a business benefit from an SSL cert? How does a business benefit from an SSL cert? An increasing number of businesses are choosing to obtain a verified SSL cert in order to provide their clients with a higher level of security. There are three main types of SSL certificates available. 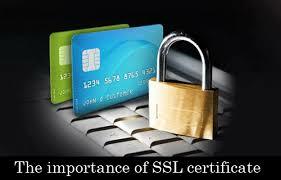 It is important to select an SSL cert that fulfils your requirements. Typically, SSL certificates should be evaluated against the size of your organisation and customer base. Additionally, the nature of the business involved and the amount of visitors to your website are all important indicators as to which certificate to use. The main purpose of an SSL certificate is to protect sensitive information. It works by encrypting this information until it arrives at the destination server. It is important that sensitive information is encrypted because any computer between the sever of origin and its destination has the capability to access these details. This can be a particular problem if there is a requirement to complete payment transactions online as credit card and bank details can be accessed by third parties. A website that benefits from a signed SSL certificate from a recognised authority like Thawte can enjoy higher levels of customer trust and confidence. Visitors to the website will be able to view the security measures in place and feel confident about entering personal information. A website that does not possess an SSL certificate will display a warning message to visitors when they access it. With this in mind, SSL certificates can certainly help to improve business and increase profits. One of the most common tricks used by third parties to secure personal information is through phishing. This relates to when someone sends an email on your behalf asking one of your clients for personal information. Typically, the email will contain a link to a site that looks identical to your own. An SSL certificate prevents this because the third party is not able to obtain a valid certificate when they copy your website. This will notify your client of a security problem. An SSL cert is also a great way to check that you are sending information to the right server. An SSL certificate is used in conjunction with a public key infrastructure (PKI) to ensure that the destination server is correct and has been authenticated.